UNISON has won an historic holiday pay victory for ambulance workers in Hampshire, Oxfordshire, Berkshire and Buckinghamshire. South Central Ambulance Service (SCAS), which covers the four counties, has agreed to a union claim that holiday pay should include a payment for regular ‘overruns’. These are incidents of involuntary overtime worked by ambulance crews who attend a patient just before the end of their shift. The crews cannot simply walk away when their shift finishes and so end up working extra hours. Following an approach from UNISON, SCAS has agreed that the amount of pay ambulance staff receive when they are on holiday will now include a calculation based upon any time regularly worked as ‘overruns’. The way in which ambulance workers will be paid for their leave has yet to be worked out, but managers at SCAS have agreed that payments will be backdated to last April. UNISON’s claim is based on the union’s victory in the Lock v British Gas case, which established the principle that holiday pay should reflect normal earnings. South Central Ambulance UNISON branch secretary Gavin Bashford said: “This is a victory for common sense. It shows SCAS values its staff. It will help make the Service more attractive as an employer, and will hopefully reduce the number of ‘overruns’ ambulance staff need to work. “Ambulance workers would clearly prefer that there were no ‘overruns’ at all. Excessive hours and a lack of a decent work/life balance are the most commonly cited reasons when people leave the Service. 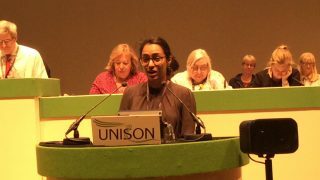 UNISON says that because of the ongoing local and national challenges for SCAS and other Trusts in recruiting paramedics, it has a vacancy rate of almost 20 per cent – a key reason why staff are having to work longer hours in ‘overruns’. 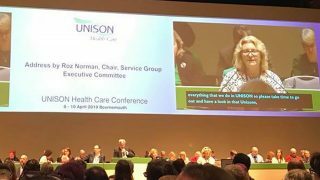 UNISON South East regional organiser Sarah O’Donoghue said: “Only last week problems with handover times at several acute hospitals in the area were highlighted. Every delayed handover is likely to result in an ‘overrun’, causing distress to patients and adding to the costs incurred by the Service. 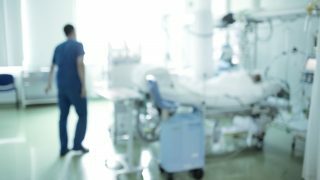 “’Overruns’ show the desperate plight of the health service, which is under huge pressure, as staff struggle to achieve more with less. – The Lock judgement was confirmed last month, when UNISON successfully defended an appeal by British Gas. – An ambulance worker who typically works four hours of ‘overruns’ a week would be paid an additional four hours when they are on annual leave. – ‘Overruns’ can average more than one hour per shift and are incurred more frequently in areas where the pressure on staff is greatest. 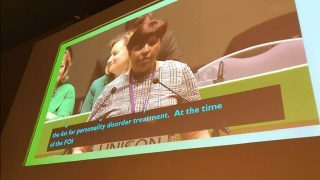 UNISON is the leading union in the South East region. We guide the way in the campaign to defend public services and public service workers. Credit unions in the South East include Community Savings & Loans, East Sussex, Kent Savers, M for Money, Surrey Save, Swan and West Sussex.